We support local companies sourcing the leanest and best tasting products we can find! We also carry a few varieties of food service 11 lbs bulk boxes of bacon for restaurants or institutions at wholesale pricing! They are not just for restaurants! You can also purchase your own freezer bags, package and freeze your own bacon at a fraction of the cost. Each box contains fresh lean center-cut bacon. 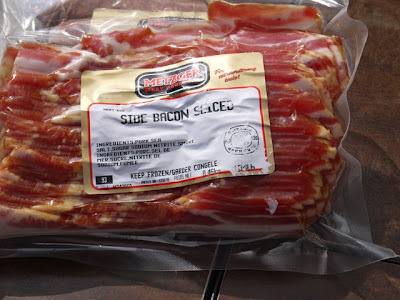 This bacon is naturally smoked, and not smoke flavor injected which guarantee’s a great flavor every time. Because the product is not heavily pumped it ensures less shrinkage than the #1 selling brands. 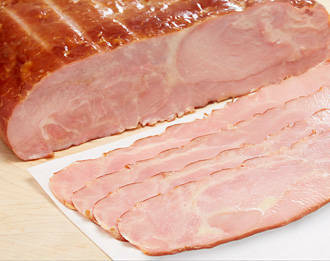 As soon as you see this dry lean bacon at our unbelievable everyday price, it will become your #1 favorite. We carry a variety of bacons. 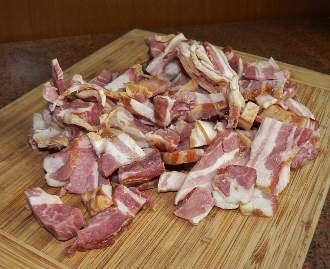 We carry bulk 5 lbs and 11 lbs boxes as well as retail packaged bacons. Check our weekly in-store specials on sliced retail packs. 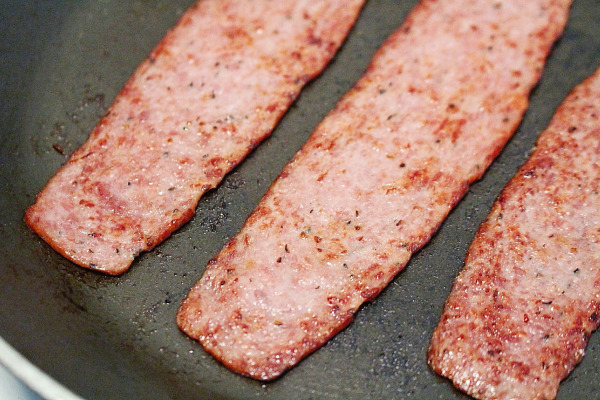 This is our best sliced bacon. Naturally smoked and dry cured there is no pump to this bacon and no additives check the ingredient deck. Fry a package up and see the difference for yourself, there is little shrinkage unlike the name brand bacon’s. Made with lean Ontario pork this is Roberts favorite bacon. Just like the old fashioned butchers bacon. 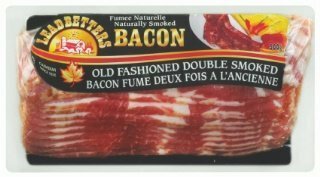 Ontario lean sliced meaty turkey bacon; little preservatives or additives; simply our very best bacon a healthier choice to sliced bacon. 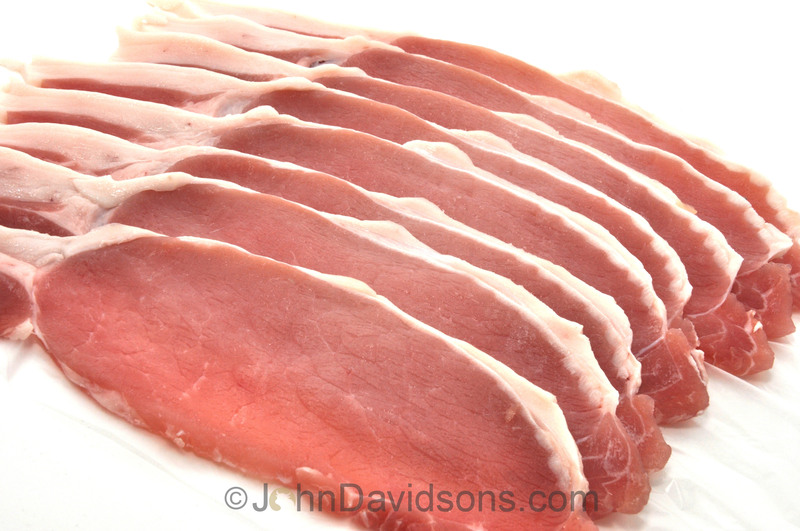 We carry various sliced and not sliced pemeal style back bacons to suit your needs. 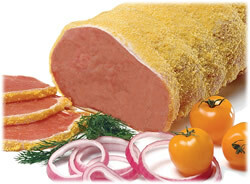 We offer FREE slicing on whole pieces of pemeal back bacon. This product comes pre-sliced in 2.2/lb bags made by J.M. Schneider. Great for salad, soups, pasta etc. And Much More Bacon Selections! !